January 23, 2018 Rebecca Johnson Comments Off on How Do You Spell Zika? One, two, three! It’s easy as… A, G, C? Who doesn’t love a spelling bee? Cute middle-schoolers lisping out words like Xanthosis and Logorrhea! But spelling is vital inside living organisms too! Why? See, cells need proteins to work properly. 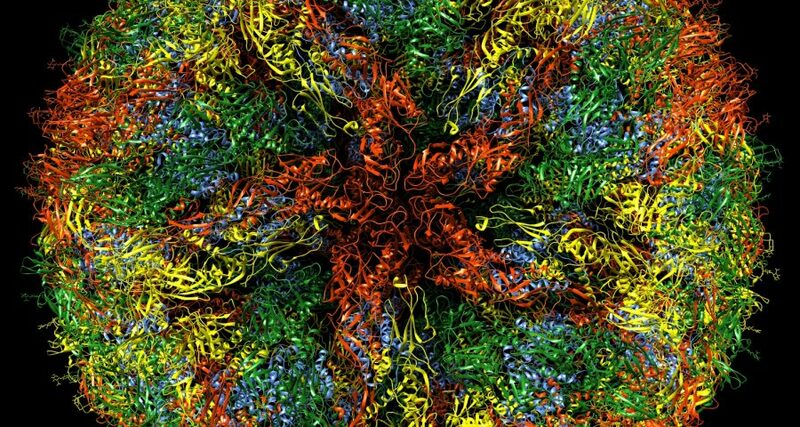 And these proteins are coded by molecules in a specific order. Like letters in a word. One letter out of place and the protein changes! Zhiheng Xu at the Chinese Academy of Sciences studies Zika virus and microcephaly. That’s a condition where babies are born with a smaller than normal head. Mothers infected with Zika virus have more babies with microcephaly. Xu teamed up with Cheng-Feng Qin [CHANG-fang CHEEN] from Beijing Institute of Microbiology and Epidemiology. They found that the protein code inside Zika has changed over a decade! They concluded that these “spelling changes” make Zika MORE infectious. This could explain the epidemic of Zika-related microcephaly. But, if we can edit the infectious spelling error, we could halt the disease! As any spelling bee champ knows — one letter makes all the difference!